Over the centuries, the Cape of Good Hope has been a marker for ships traveling the treacherous route from Europe to the Far East. The windswept sliver of land jutting southward from the African continent signaled that ships could now bear eastward, continuing their harrowing journey across the turbulent seas. 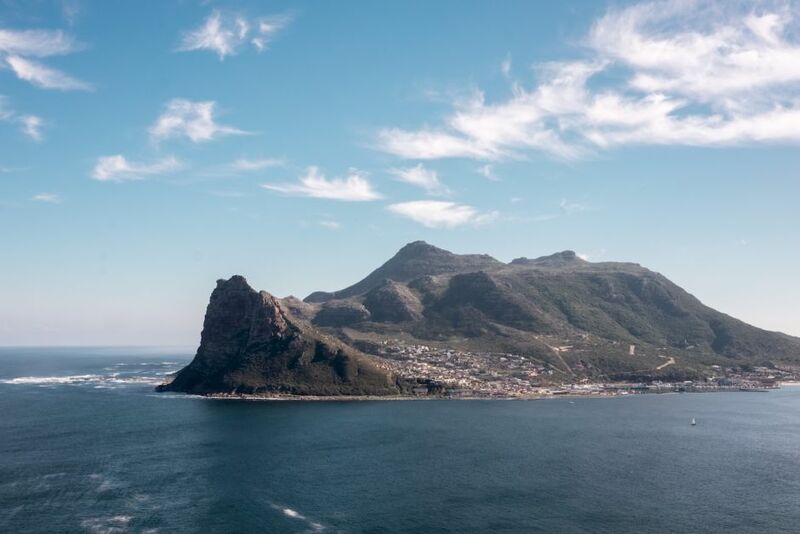 It may not be the most southerly point in Africa, as sailors once believed, but the peninsula once known as the Cape of Storms is a rugged place that captivates visitors. Its jagged cliffs soar hundreds of feet above a swirling ocean littered with visible shipwrecks from a distant era. The next notable landmass, Antarctica, is some 4,000 miles away. 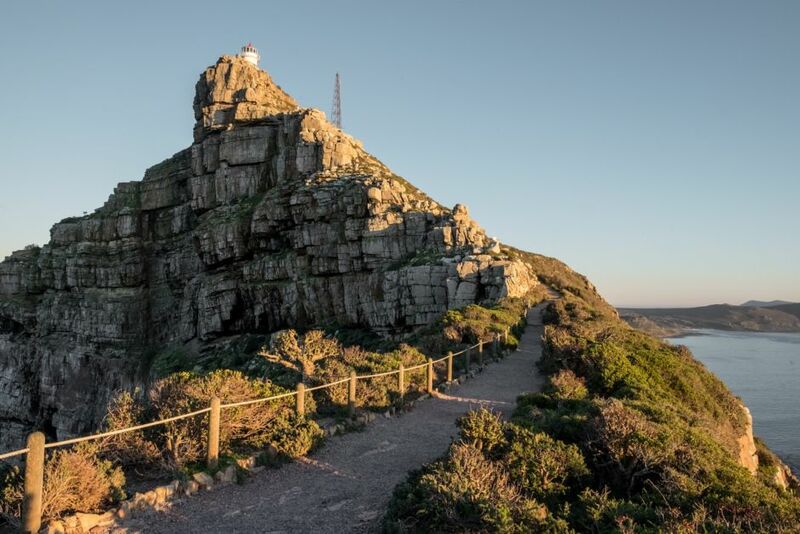 For a day trip to Cape Point, follow these basic rules. Pick a day with good weather; check the wind, rain, and cloud cover. Try to secure your own vehicle, since tours won’t allow you to explore the park on your own. Get to Cape Point at sunrise to avoid the summer crowds, but also to see the park in the best possible light. Make a day of it: drive there along one side of the peninsula, and return on the other. Take your time to visit the quaint seaside towns and take in the dramatic views from the ocean roads. Finally, don’t overlook the short, sharp trek up to the Old Lighthouse — but prioritize walks where the majority of visitors tend not to go. When you’ve got your perfect selfie, put the camera away and go find that quiet cliffside viewpoint or remote beach. Take a long silent walk on the pristine, white-sand beaches, where you’re more likely to stumble across inquisitive wildlife than other humans. The suburb of Muizenberg is the first coastal town you’ll encounter if you drive down the eastern route to Cape Point. 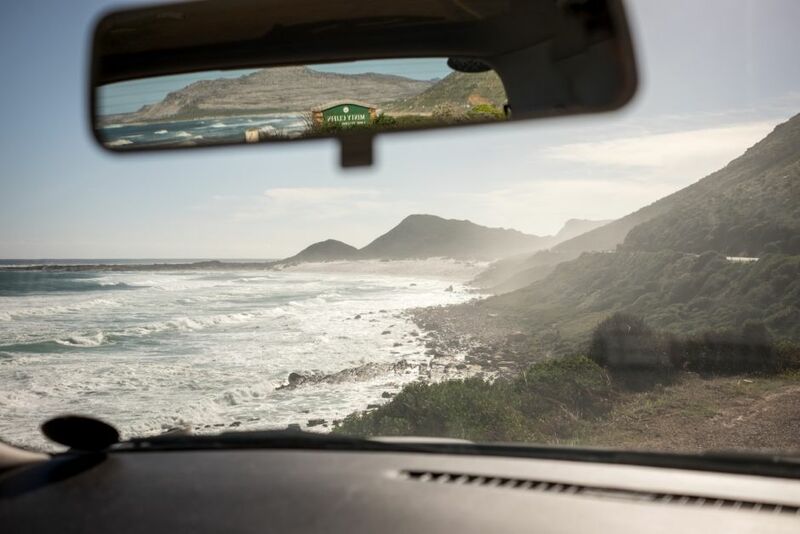 Take the Boye’s Drive detour for a panoramic outlook of the city’s most popular surfing beach, and the vast False Bay below. If you’re planning to reach Cape Point by sunrise, which you definitely should, this area will be dark when you pass by. But it’s worth scheduling a visit to the various sleepy seaside towns you’ll drive by, either on your way back or at some other time. 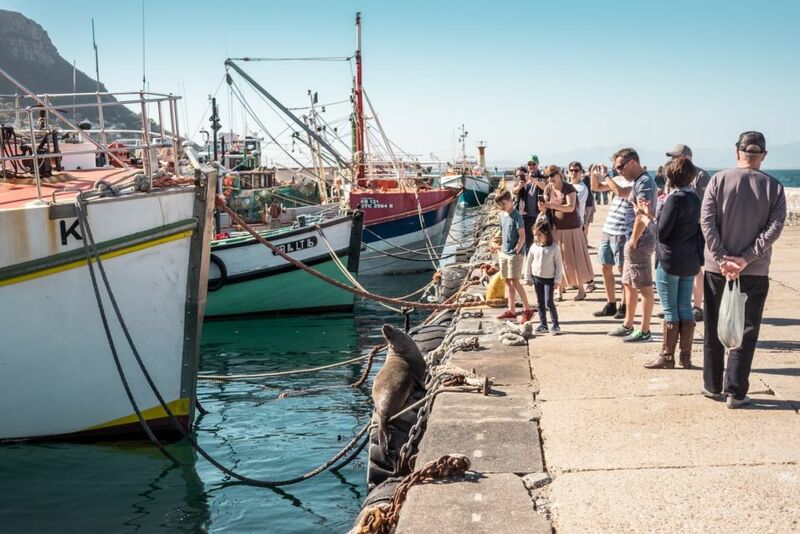 The harbor at Kalk Bay is a popular destination, where visitors walk along the harbor walls and interact with wild seals that are happy to pose for photos. 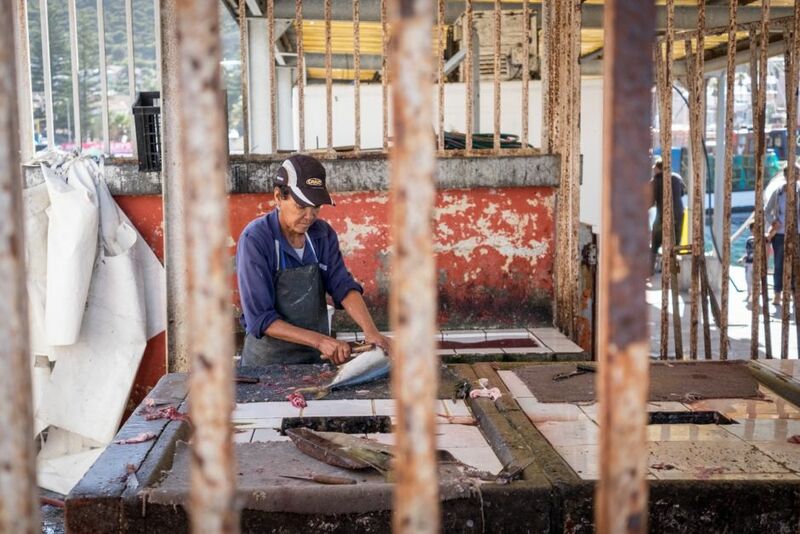 Kalk Bay is also a working harbor, and it’s possible to purchase the city’s freshest fish right here. The friendly fishermen and women showcase the day’s best catches and will descale your pick of fish right before your eyes. Once in Cape Point, it’s difficult to know where to go as roads branch off in several directions. Most end up following the magnetic pull of the white and red lighthouse on the hill ahead. The views from the top are impressive - but the walk along the Lighthouse Keeper’s Trail, forged when the new, more powerful lighthouse was built closer to the water, which offers incredible views, history, and fewer crowds. There are no better views back toward the Old Lighthouse than from the Lighthouse Keeper’s Trail. From this vantage point, it’s easy to see why this building was decommissioned - it was often obscured by clouds, and didn’t provide adequate warning of the final landmass jutting out into the ocean. 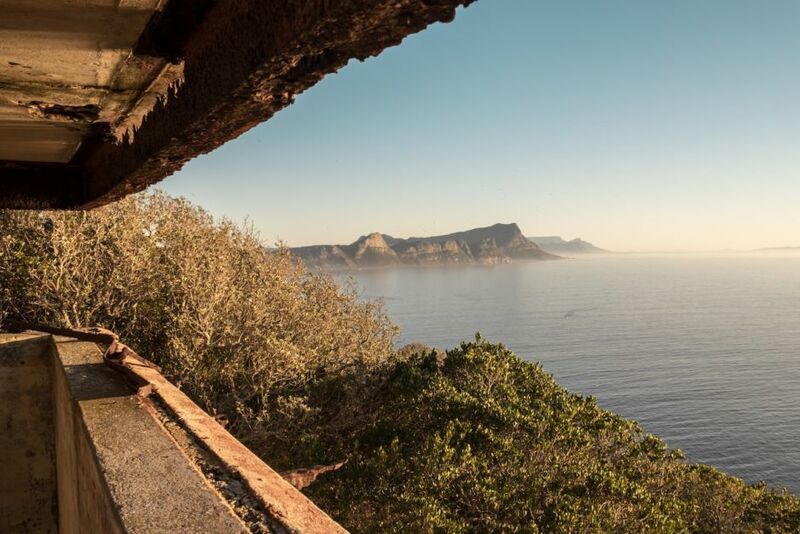 There are relics from various eras of South Africa’s history hidden throughout the reserve, including radar stations, abandoned bunkers, and observation points. Many of these were last used in World War II. 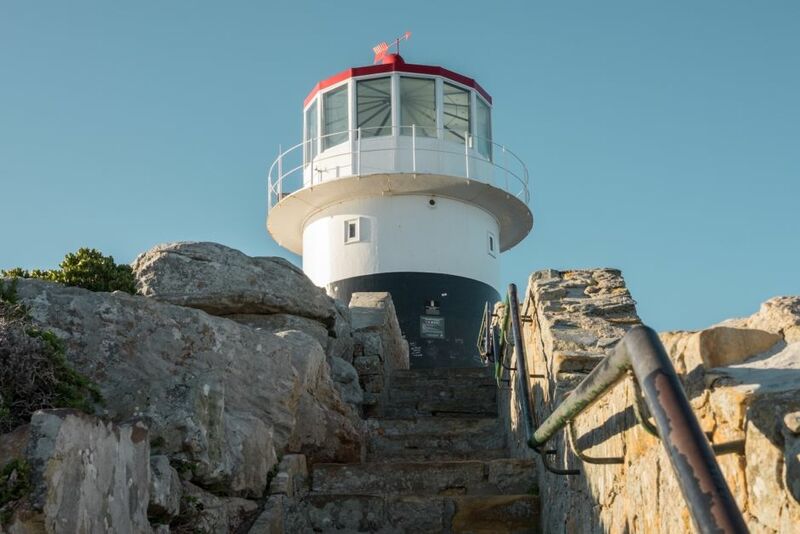 Cape Point’s iconic red, white, and black lighthouse was built atop a tall cliff in the late 1850s. Unfortunately, it was a location more dramatic than effective, and it was ultimately decommissioned in favor of a more reliable structure closer to the sea. Still, its location offers several photo opportunities across the surrounding reserve and seas. 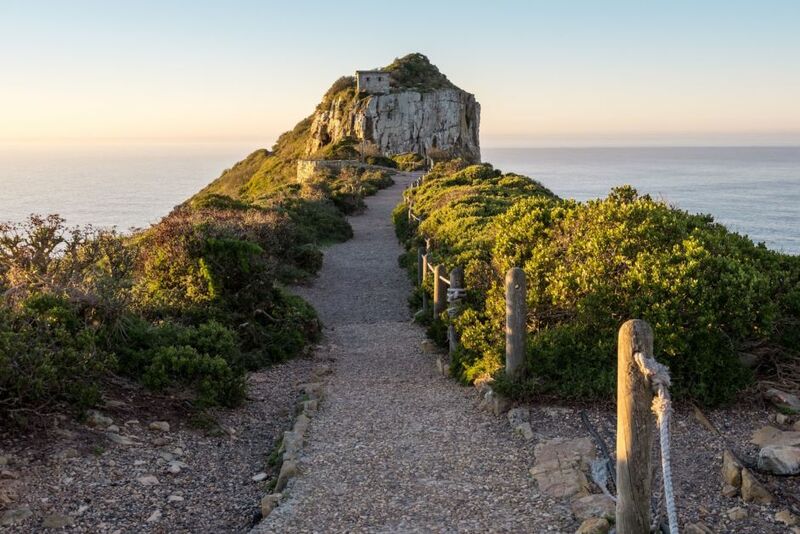 Wildlife roams freely throughout the greater Cape of Good Hope Nature Reserve, which surrounds all tourist attractions within Cape Point. 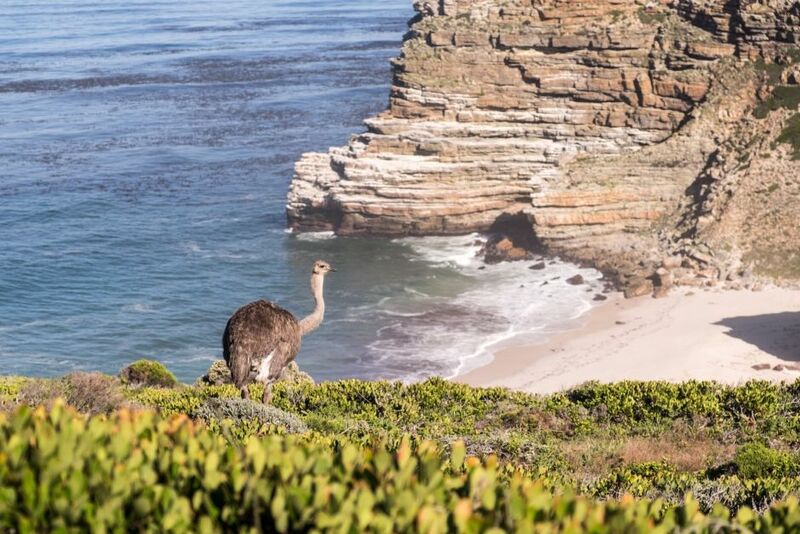 This includes inquisitive ostriches, which pick through the fynbos shrubland located throughout the reserve. 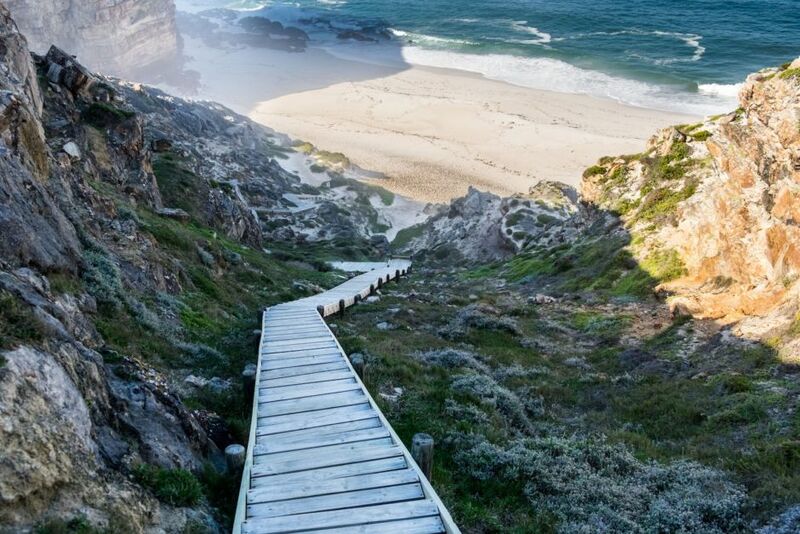 Dias Beach is a popular Cape Point attraction, which most people know only from high above. That’s because to get your toes in the sand or the icy Atlantic, you’ll need to walk down several hundred stairs. Invest in the walk down and up, and there’s a good chance you’ll have the isolated beach to yourself. 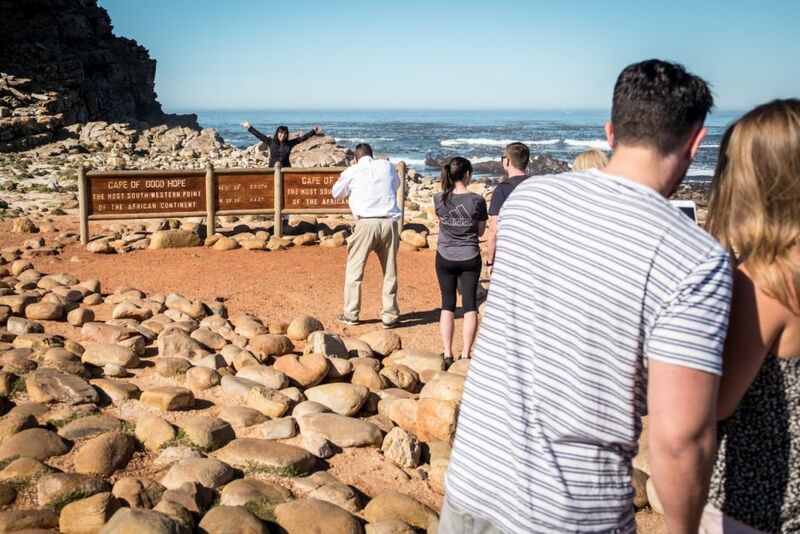 On a busy day, visitors queue for several minutes in order to take a photograph of this location - the most south-western point of the African continent. It’s possible to reach it on foot from the main parking lot, though most take the easy option and drive down along the coastal road. The return drive from Cape Point is just as dramatic. 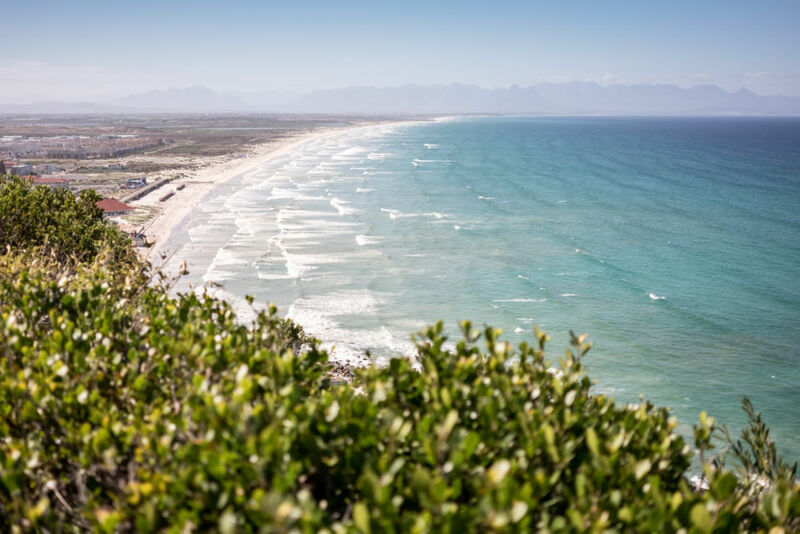 You’ll pass through remote seaside suburbs perched between fynbos, sand dunes, isolated beaches, and the vast Atlantic Ocean. This region, aptly called Misty Cliffs, is on the western side of the peninsula. Perhaps the most iconic road in all of South Africa, Chapman’s Peak drive delivers delights and adrenaline surges around every corner. Turn left out of Cape Point and follow the signs all the way to this dramatic drive, which is worth every cent of the official toll fee.